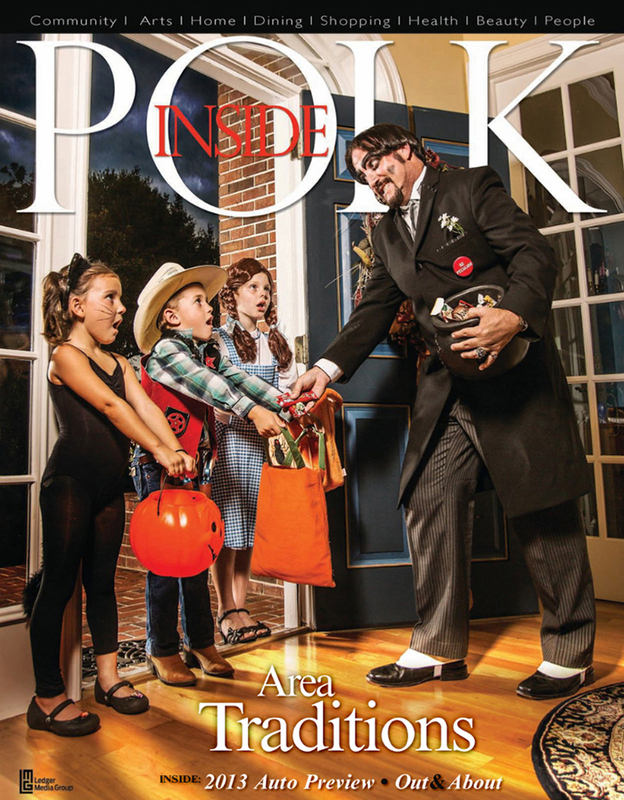 Inside Polk Magazine Dr. Paul Bearer: Dr. Paul Bearer made the cover of Inside Polk Magazine, Issue 10, 2012. 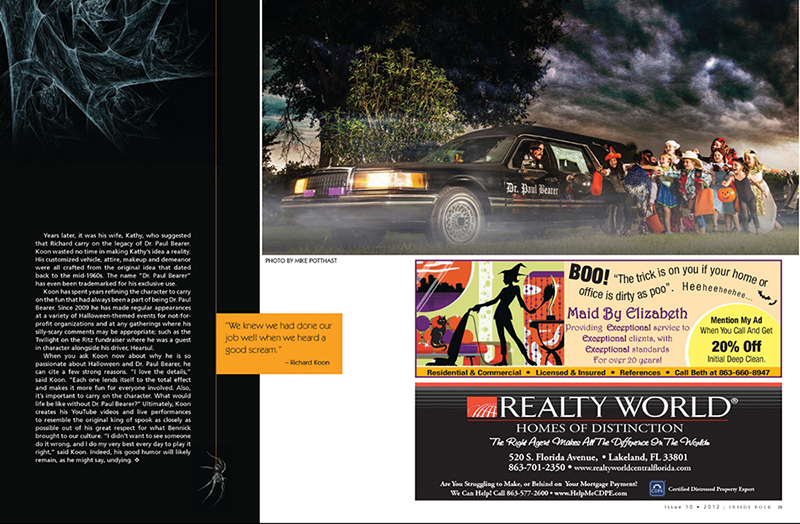 Story by Maria Iannucci, photography by Mike Potthast. 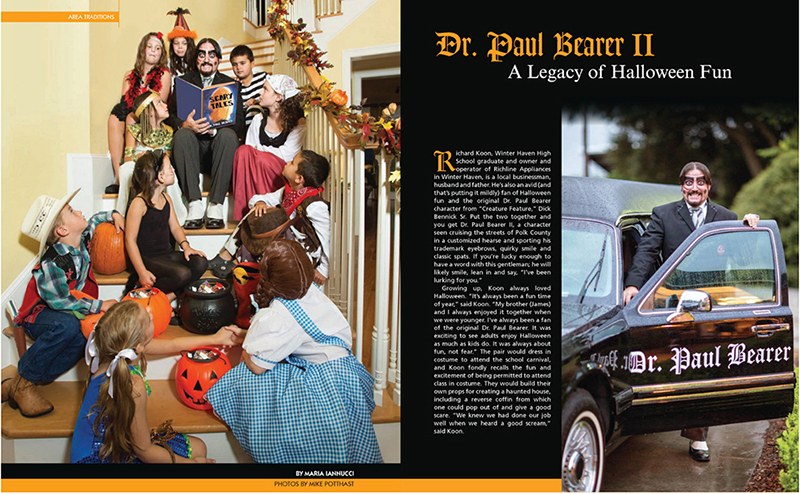 The article discusses Dr. Paul’s love of Halloween since he was a child in Winter Haven Florida and how he loves building Halloween props and haunted houses. When building props and houses, his goal was to scare people. The article discusses the origins of how Dr. Paul Bearer started in 2009 and why he feels the tradition of Dr. Paul Bearer needs to be done correctly.